For too long David's Bridal has been known as the 'Walmart of Weddings'. To rectify this we created a new look, brand experience, and store layout. Our campaign is won bronze from the Advertising Club of Richmond. New Brand Position: David's Bridal makes each woman feel celebrated. New Strategy: We're not dressing you for a day, we're styling you for the memories. From the moment you see David's outdated typography it's clear you won't be expecting something great. 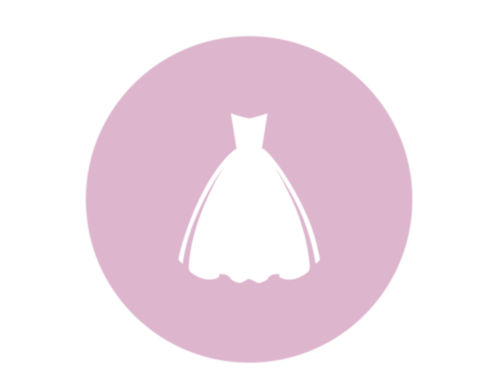 As you look for your priority purchase, a dress, it's extremely cluttered and difficult to find one you like. Once you've found a dress it is impossible to find the right pair of shoes, and don't even glance at the tangled accessory wall. Even if you find the perfect outfit, you'll spend one of the most vulnerable moments - the fitting - in front of everyone in the store. We've updated the font to a streamlined, modern sans serif and shortened the name from "David's Bridal" to the more colloquial, already used name "David's". Removing Bridal enforces the fact that David's has dresses for every occasion. We are using patterns through out the new store to help customers identify the dresses they are looking for. 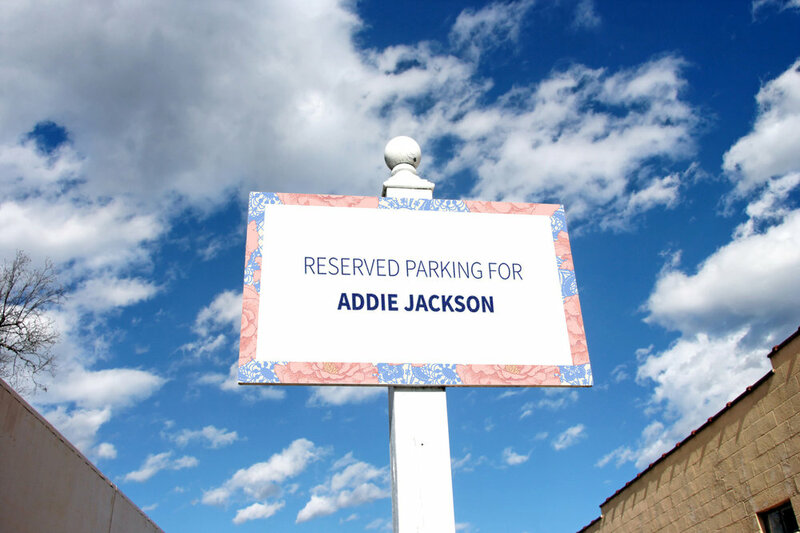 From the moment Addie parks in her personalized parking spot, the experience already feels elevated. She enters a reception area that has been designed with forced architectural compression. Similar to an amusement park entry gate the consumer is funneled past a hint of the experience before the reveal. the formal wear catalog denoted by the pattern listed above. As Addie rounds the corner into the grand showroom. There is no more clutter and she sees the designer and seasonal looks. Tall mirrors are available to get the taste before try-on, and the stage is set for the woman who loves the spotlight. but just in case she walks through the highlighted looks. pair of heels across the room that caught her eye. Addie doesn't have to worry about her friends and family as she tries on her dress, even though she brought a few extra people. Addie sees how her gown will look at dusk with the venue simulator. Since the lighting is different she asks the consultant for a lighter color dress, which the consultant is able to quickly grab from the stock room through a door to the back. As she leaves, Addie gets a photo memory of her time at David's, followed by a handwritten note by her consultant a couple weeks later, and a video compilation created by her friends and loved ones to be shared much closer to the event. Communication Strategy: Provide ample opportunity for sharable moments. 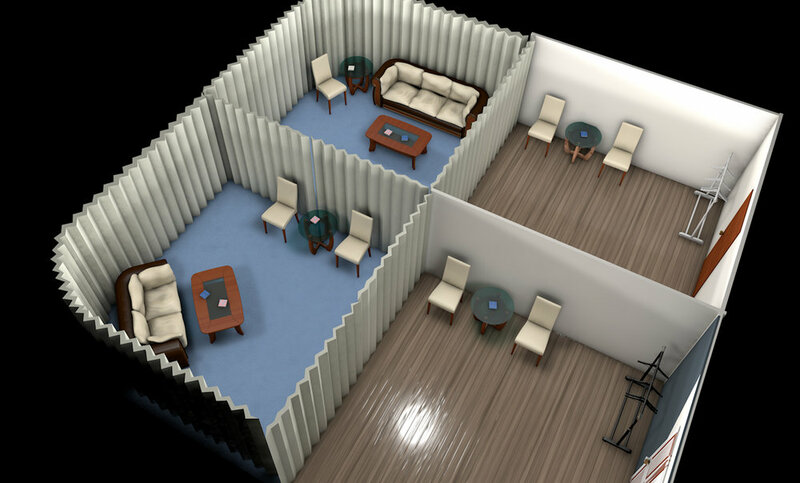 The new David's space was created with sharable moments in mind. We accomplish this by providing backdrops to capture the memories in addition to the other social media opportunities. In the online space David's is already wildly successful on Pinterest, but we continue to elevate their presence by implementing buyable pins and linking interested parties to purchase their pins on the David's website. Patterns are an important part of the David's redesign. Each pattern corresponds to a specific occasion, designer line, or seasonal collection. These patterns can easily be swapped out or added to as more dresses are made and time progresses. From back drops to catalogs to business cards and beyond we use our series of patterns throughout the new store layout to guide clients as they search for the perfect dress. We savor these special moments, and cherish family wedding photos. be a photo opportunity. And that begins with the search for the perfect dress.